The very initial safety tip for Hajj 2016 is to stay in contact with your close ones. To ensure connectivity with your family and friends members back home, it is advised to take along an unlocked cellular cell phone with you. It must be a very basic phone so you do not worry about losing or missing it. You can with no trouble buy a SIM card from Makkah or Madina that will going to cost you around 100 Riyals. This could be very useful in any kind of emergency situations or if anyone from your home town wants to talk or contact you. Albeit, pharmacies in city Makkah and Madina are easily obtainable but at times, you may not be able to find the precise medicine you are looking for that has been prescribed by the physician. Therefore, to avoid any kind of inconvenience, make sure that you take all the prescribed medicines along with you. This includes also one of the most significant safety tips for Hajj 2016. During the Hajj 2016 you will not have permission of access to your passport. In case of any emergency, for the reason of identification you must have an Identity (ID) card or something of same sort with you, at all times. In case if you faint, fall unconscious or get a heart stroke. In case you are not capable to locate your hotel or lost the way. In case if you get dragged away from the group. The very common motive why people lost is when they get off their buses in Makkah, they are guide to Haram straight away in order to perform Umrah. Once they are done, they not remember where they have to go, they forget the way back to their hotel. Try to get the business card of the accommodation or hotel as soon as you get there. Make sure that you have taken more than one card. On a paper, write down your passport number, your contact, complete name, information in Makkah, Madina, plus your group head’s contact information. Keep this paper with you all the time. The most significant safety tip for Hajj 2016 is to be Alert and Watch out for the pickpockets. Various cases have been recorded for pick-pocketing in Makkah, mainly in the Tawaaf area. Even the hotels are not totally secure. At times, the room cleaning staff members can steal your belongings. You also need to stay watchful also in Mina tent to ensure that you stay safe during Hajj 2016. 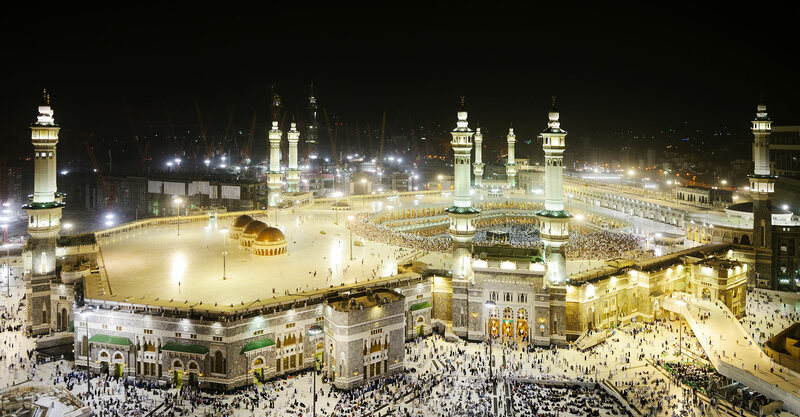 Rehmantours.co.uk is one of the authorized Umrah travel agent based in UK offers a range of Discounted Hajj Packages from UK.